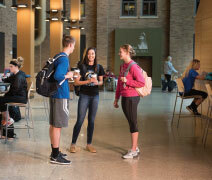 Make Briar Cliff your home away from home. Step up to the height of the city and live among the beauty of the rolling hills of Sioux City, Iowa. Join our vibrant and inclusive community, and experience city life with the safety and comfort of home in our newly renovated dormitories and apartment-style residence halls. Academics may be the cornerstone of any collegiate program, but plenty of learning takes place outside the classroom. Get involved in residence hall events, campus activities and organizations, intramurals, religious life, athletic teams, campus jobs, internships, and community service. 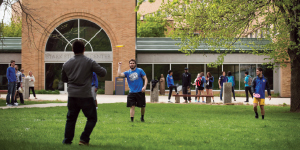 At Briar Cliff you have the opportunity to experience it all. Start your journey. Here. Now. Apply today at briarcliff.edu.